Humanium and the Scout Association of Bolivia decided to work together in order to support and finance a group of young friends and to bring their social project to fruition. The project, known as « Children Have A Right To Health » will come to light in the city of Oruro, which is known for being a mining centre and extremely poor. 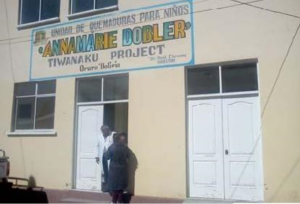 The goal is to stock the medicines and other medical products that the children in the ANA MARIE DOBLER Hospital need, using various financing mechanisms. Currently, this hospital, whose speciality is treating burns, lacks the equipment it needs to care properly for its patients, most of whom are very poor, coming as they do from the countryside or the outskirts of Oruro. With this situation in mind, Humanium and the Rovers Clan of Oruro are taking action to provide the hospital with a minimum of equipment. By improving the quality of care, we are putting into practice the right to health that the children of this city should enjoy. Among the objectives is helping 400 children over a one-year period. 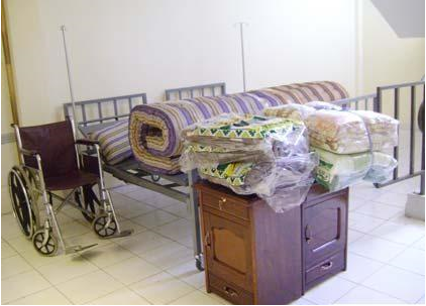 Indirectly, this is also good for the wider community, since it will have a hospital that offers more and better care. We appreciate the efforts that these young people are making to put the project in place and we thank the Bolivian Scout Association for letting us create this alliance, as well as everyone who, thanks to their donations, makes possible this and other Humanium projects.